Soon after the ED said in a court that arrested British national Christian James Michel, the alleged middleman in the Rs 3,600-crore AgustaWestland VVIP chopper case, took the name of 'Mrs Gandhi' during interrogation and also used "big man 'R', son of an Italian lady", Union Minister Prakash Javadekar on Saturday said that the "finger is pointed towards a single family". 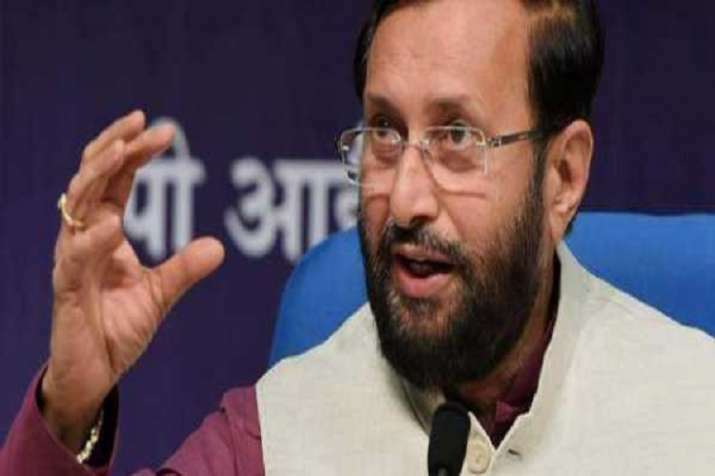 "What Enforcement Directorate (ED) has told the court has stunned the nation because Michel in chopper scam has named Congress leader 'Mrs Gandhi' as per ED," Javadekar said addressing a press conference here. He said that Michel's interrogation has revealed "a few new adverbs, few new nouns in this saga of chopper scam". "First there were only two words AP and family that we debated. But today it is more clear. He (Michel) has said son of an Italian lady, he has said 'R', he has said party leader, he has said 'big man'," the minister said. His remakrs came after the ED brought in the name of 'Mrs Gandhi' and 'big man R', an apparent reference to UPA chairperson Sonia Gandhi and her son and Congress President Rahul Gandhi, in a special court when it got a seven-day extension of custody of Michel. Citing from a note of Michel, the agency, however, did not specify which "Mrs Gandhi" or "big man R" it was referring to. Javadekar said all this was coming out "what ED has said to court". "This shows Congress looted left, right and centre when they were in power," he alleged. Slamming former Prime Minister Manmohan Singh, Javadekar said, "The accidental Prime Minister presided over a loot raj. And that is why it was thrown out by people as it was a government of scams." "This chopper scam shows that the government at that time was compromising with the national security," he said. He said the Congress government did not sign any defence deal without involvement of middlemen. Hitting out at the Congress over the leak of the sensitive material to Michel, Javadekar said "what is shocking is Michel has access to all the sensitive files". "The files, which were unavailable to even officers and ministers, were available to Michel. It appeared he received a copy of every letter signed and sent to a ministry, as if, it was the rule," he said. "That is why Michel has said that we have not given proper respect to the Finance Minister. And that is why he is angry," he said. The BJP leader said that one thing is clear that the NDA facilitated Michel's extradition while the Congress helped him by sending a lawyer. He also accused the Congress of temporarily suspending its party leader Aljo Joseph, who is representing Michel in the court. Pointing towards a slip being passed by Michel to his lawyer Joseph in the ED custody which referred to a set of questions related to Mrs Gandhi, he said, "They have given a chit and they were tutoring him. So the court today gave seven-day custody to the ED and also limited the timing of meeting of Michel's lawyer for 15 minutes, both in morning and evening." "And that also from a distance so that he do not exchange any letter," he said. Launching an attack on the Gandhi family, Javadekar said, "The sum and substance of the story is that a thief makes noise. Those who are involved in corruption are charging others of corruption without any basis without any proof." "The mother and the son (Sonia and Rahul Gandhi) are on bail in a corruption case, the Income Tax department has issued a notice asking them to explain about Rs 6 crore investment in National Herald and National Herald has been asked by court to vacate the premises. "All this tells the story and points finger at one family," he said. Slamming Congress President, he said, "Rahul Gandhi repeatedly mentions about HAL (Hindustan Aeronautics Limited) but it was disclosed today that how HAL was bypassed. These are the incessant revelations that is why we understand the thief is making a noise."